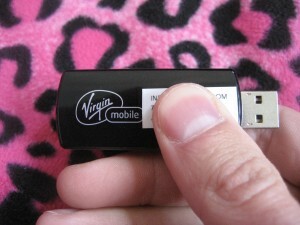 Note: These instructions have been written to work with a MC760 mobile broadband device from Virgin Mobile. Another device or model may work but it has not be confirmed. With your device already activated via Windows, plug the modem into an available USB port on your Mac OS X computer. 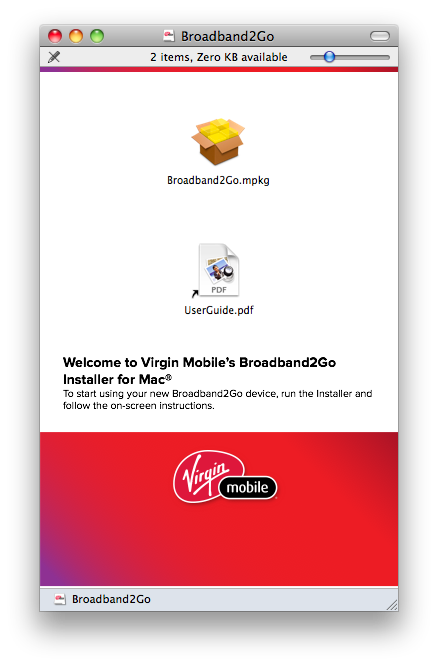 You will be greeted with the Finder window containing the software for your Broadband2Go device. 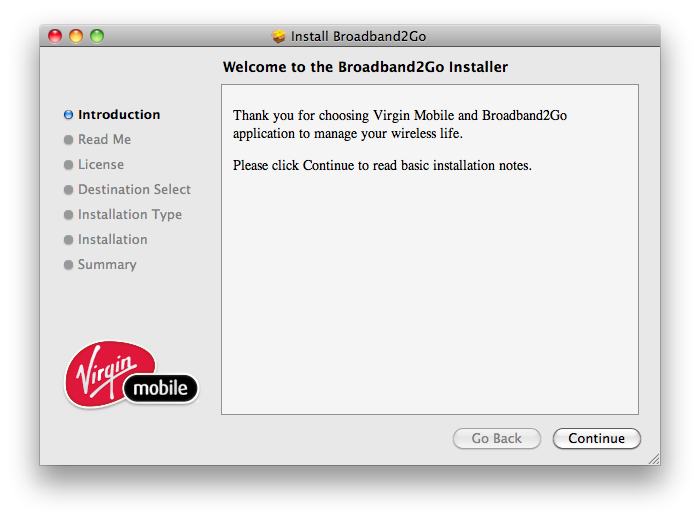 Double-click Broadband2Go.mpkg to run the installer. Click “Continue” to proceed through the installation process. Once the installation is complete, click the “Restart” button to restart your Mac. After your computer has restarted and you have logged into an administrative account, you will be met with a prompt stating a new network interface has been detected. 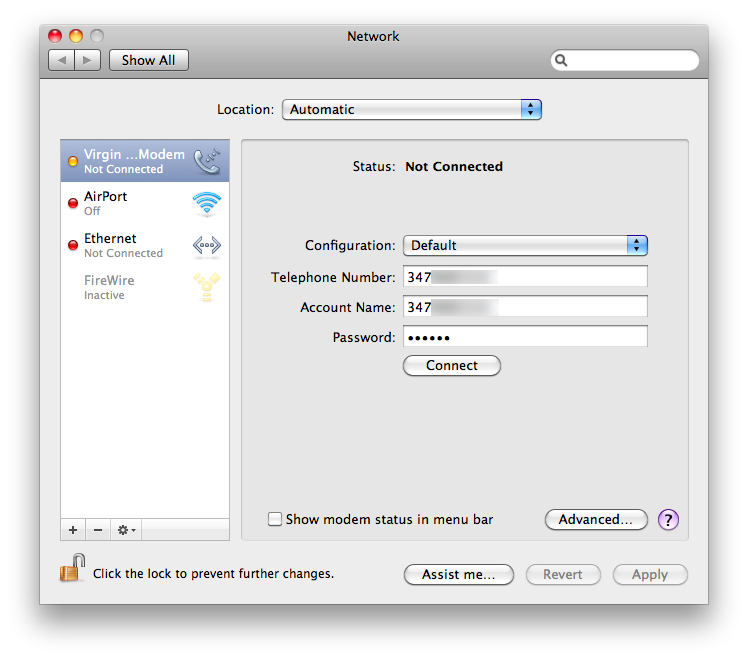 The network preferences window will appear on screen. 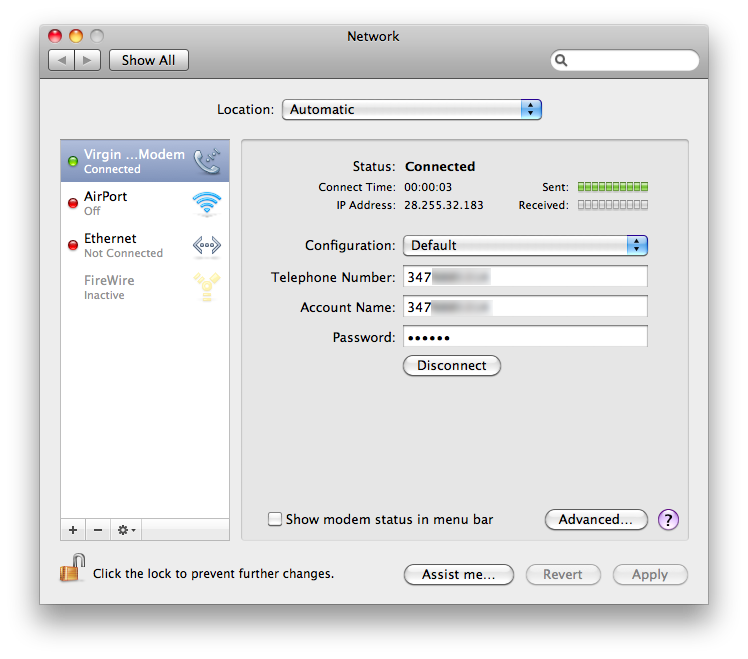 Click on the network device labeled “Virgin Mobile Modem” and then click on “Advanced”. 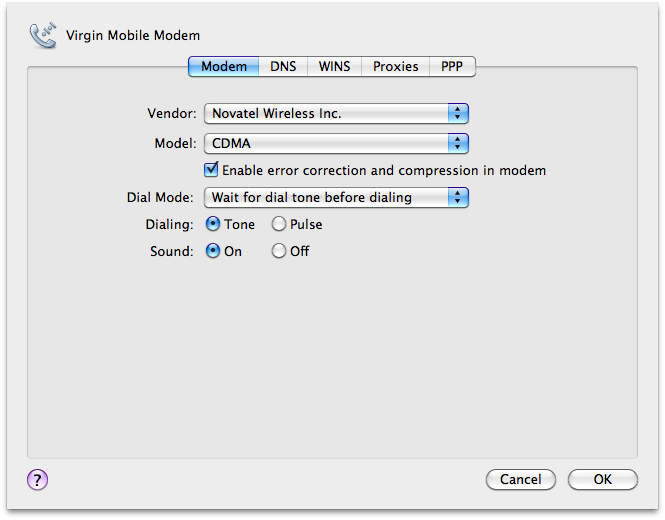 Under the “Modem” tab, set the “Vendor” option to “Novatel Wireless Inc.” and the “Model” option to “CDMA”. Click OK.
Change the “Telephone Number” and “Account Name” to your Broadband2Go account number (MDN). Click “Connect” and wait a few moments. If everything has been done correctly, your status should change to “Connected” and you should be given details on your connection time, IP address, and a sent and receive meter. Visit your favorite web page to confirm your internet connection. 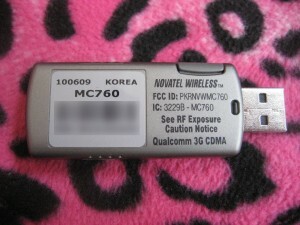 Be sure that no other network devices like your ethernet port or Airport have an active network connection, otherwise your computer may use one of these devices for an internet connection in lieu of your mobile broadband device.